Adorable puppy brothers Bingo and Rolly are back in Playtime with Puppy Dog Pals! Join the doggy duo on amazing missions: deep-sea diving in the Great Barrier Reef, fetching a four-leaf clover in Ireland, running all over Down Under, and much more! Packed with action, music and a ton of silly fun, these playtime adventures will leave you howling with laughter! Don’t miss the action-packed stories of these fun-loving pug brothers and pals, and meet the new member of puppy dog pals Keia! Playtime with Puppy Dog Pals, includes 8 Short and 4 Bonus Episodes! Bring home 110 minutes (not including bonus) of adventure on Disney Home Entertainment DVD starting today! My granddaughter loves to watch this cartoon. When she’s home it’s “Mommy I want to watch Puppy dog Pals” or here at my house “Grampa or Gramma I want Puppy dog Pals on”. I’m glad we now have both Puppy Dog Pals Kids DVD’s for her to watch when it isn’t on TV. 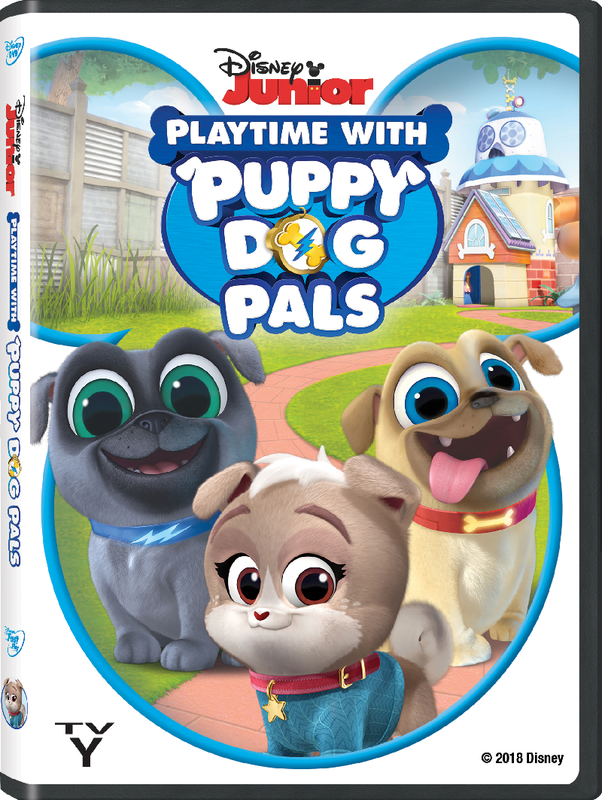 If you missed it, check out the Puppy Dog Pals 1st DVD. This is an adorable show for kids. The pup brothers have these big doe eyes and small bodies, making them so cute you can’t help but love them. My granddaughter is a Disney Junior fan and a dog fan and when she was introduced to these adorable pups, it was a must see cartoon just like Paw Patrol! Issac Ryan Brown as Bingo; Sam Lavagnino as Rolly; Harland Williams as Bob; Jessica DiCicco as Hissy; and Tom Kenny as A.R.F. This DVD would make a fantastic Valentine’s Day gift for your kids!